Hello. My name is Karl. I&apos;m a gingerbread man. You&apos;ll have to excuse my state of undress for the moment, but I&apos;m still a work-in-progress for one of the most popular Christmas celebrations in Hendricks County: Christmas on the Square in Danville. 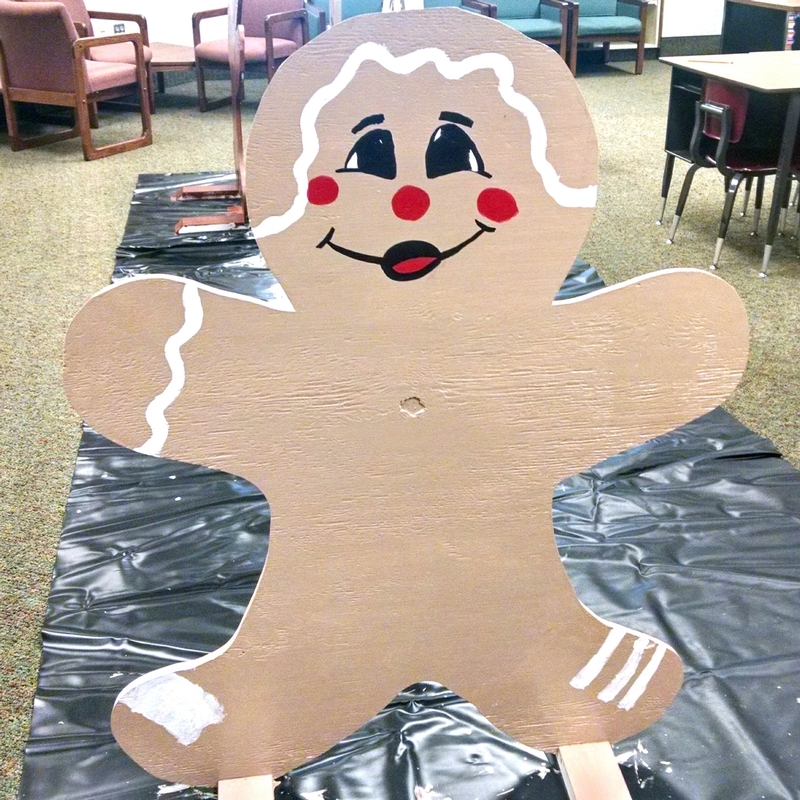 I&apos;m one of four gingerbread figures that the third- and fourth-graders of the K-Kids Club at Danville South Elementary School are creating for Christmas on the Square, to be held on the historic Hendricks County Courthouse Square on Friday, Nov. 27 from 4 to 6 p.m. I will be joining my three K-Kids gingerbread friends and 52 other decorated gingerbread figures around the lawn of the Hendricks County Courthouse, where everyone can enjoy the creativity and Christmas spirit from individuals, groups, clubs and businesses from all over the area. Organizers from the Downtown Danville Partnership sold 56 gingerbread men and said they had to cut the orders off as the response from the community was overwhelming. You see, we&apos;re new to the Christmas on the Square scene. For the first time ever, the Downtown Danville Partnership sold us gingerbread folks as blank cutouts for a nominal fee, and those who purchased us have been working to bring us to life for a few weeks now. I&apos;m looking forward to seeing what all of my other gingerbread friends look like when we&apos;re unveiled on the 27th! We&apos;re going to be on display around the Courthouse throughout the Christmas season, but you want to be the first to see us, don&apos;t you? We&apos;re not the only attraction at Christmas on the Square, though. Not even close. You&apos;ll definitely want to bundle up the whole family and bring them out for the festivities. It&apos;s going to be so much fun watching children ride the trackless train around the Courthouse Square! That&apos;s an annual tradition that&apos;s always a big hit. So is the live nativity scene that will be back again this year. 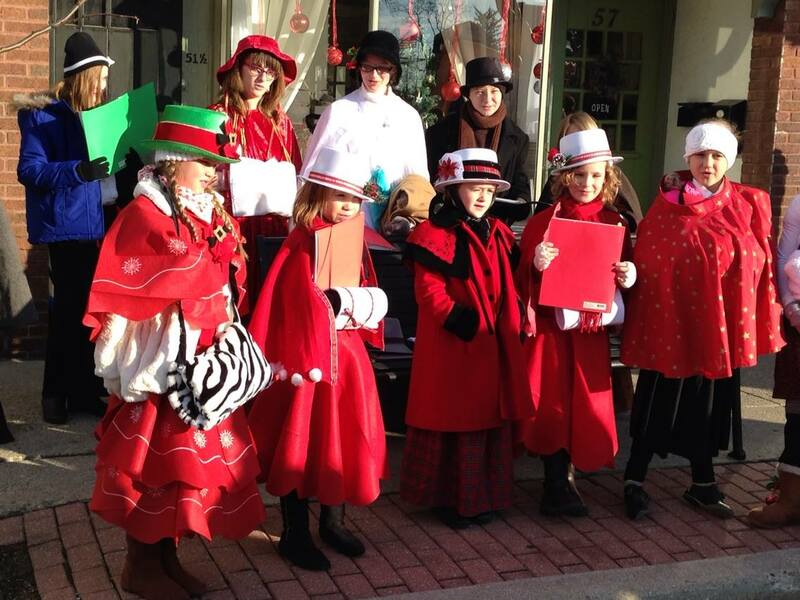 I bet the kids are going to look great, too, riding the train and checking out the live nativity scene with their painted faces since there&apos;s going to be face-painting at Christmas on the Square, along with DJ music and caroling to keep us and you entertained and in the Christmas spirit. Santa Claus, Mrs. Claus and Rudolph the Red-Nose Reindeer are going to be wandering around, providing hugs and fun photo opportunities. Plus, I hear that some fairly famous snowman is going to be there. Some fellow named Olaf? I think he&apos;s from the Frozen Kingdom of Arendelle. Ever heard of him? You can&apos;t eat us gingerbread people (unless you enjoy the taste of plywood and paint), so there are going to be food vendors available for the hungry, along with the great eating establishments on or around the Square: Frank&apos;s Place, Courthouse Grounds, Mayberry Cafe, Diesel&apos;s Sports Grille, The Bread Basket Cafe and Bakery, The Beehive and Pizza Paradise, just to name a few. Need to knock the chill off? Hop into the Royal Theater at 4:10 p.m. and 5:10 p.m. for stage performances of "A Christmas Carol." Another great way to knock the chill off and to get a jump-start on your Christmas shopping at the same time is to visit the local businesses that line the Courthouse Square. There are all sorts of one-of-a-kind gifts to be found as you celebrate Christmas on the Square in shops such as Melissa Cain Art Studio, Jane&apos;s on the Square, Outta the Shed, Gallery on the Square, Seize the Night Designs, Arcane Coffee, Confection Delights and more! Finally, stick around with me and all my gingerbread friends for the lighting of the Town of Danville&apos;s Christmas tree and canopy of lights that cover the Courthouse Square at 6 p.m. You can&apos;t help but get in the Christmas spirit when those lights snap on! Do you have kids who would like to try to win a chance to flip the switch on the Christmas lights with Santa Claus? Make sure you get them registered by 5:30 p.m. during Christmas on the Square, and they might win the drawing to do just that! Sounds like a fun time, doesn&apos;t it? The best part is that it&apos;s free to come see me and enjoy the other festivities! Oh, and I have a little insider tip for you, too. 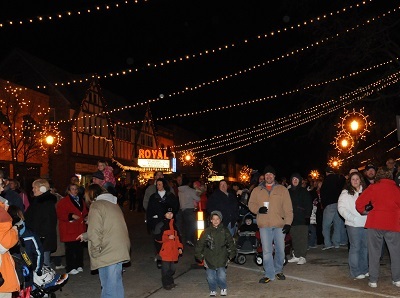 After the Christmas lights come on at the Courthouse Square, it&apos;s a very popular activity to drive down the hill to Ellis Park and enjoy the opening night of the Winterland Holiday Light Show. It&apos;s awesome! I even have a little game for your family. See if you can find a lit likeness of me while you drive through! I hear kids with paint brushes calling my name, so I have to go now, but make sure you&apos;re at Christmas on the Square in Danville on Nov. 27 from 4 to 6 p.m. so you can be among the first to see me and all of my gingerbread friends!